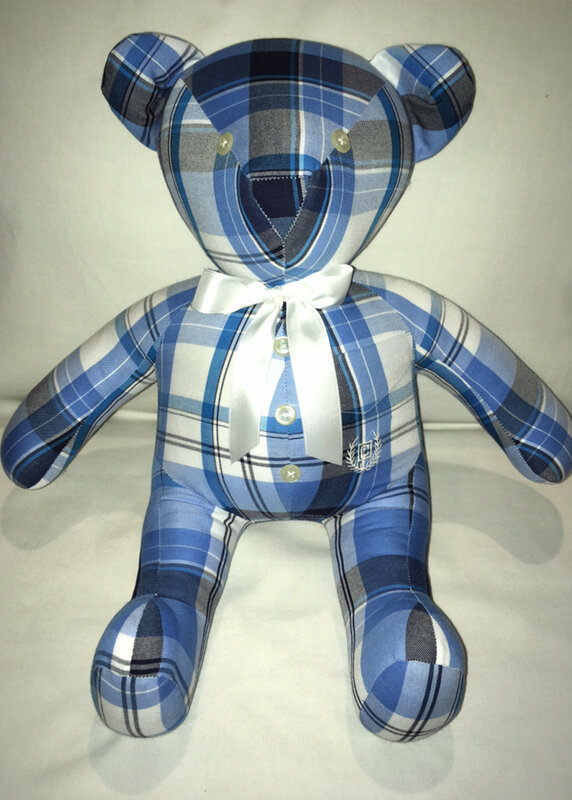 The Carrie Bear is lovingly created with one article of clothing and a coordinating ribbon. Most orders are completed within 8-10 weeks. Time may vary due to holiday season. We will do our best to accommodate a specific date if at all possible. 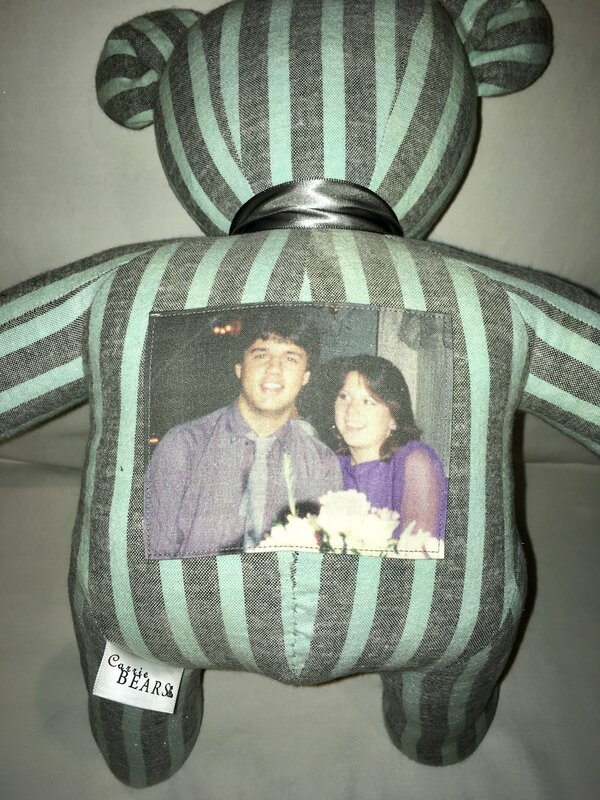 Optional photos and messages will be printed on white fabric and sewn to the back of the bear. 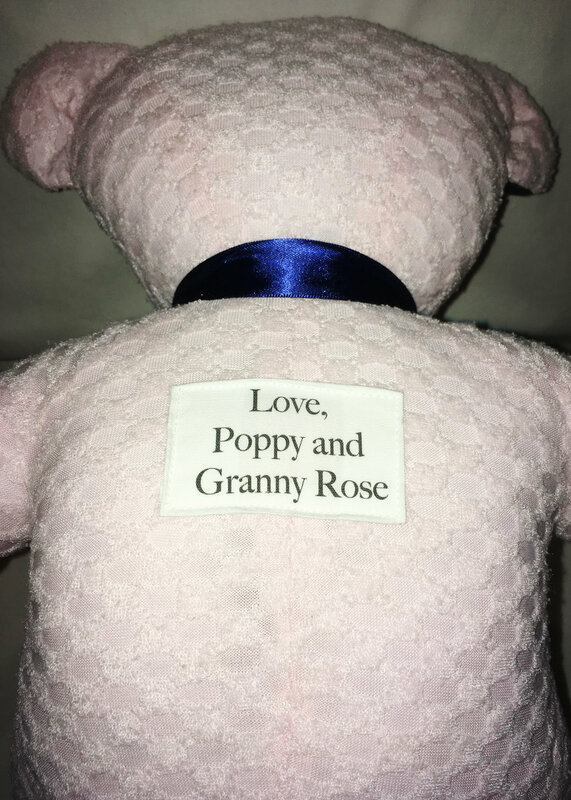 Please email your photo to carriebears99@gmail.com.